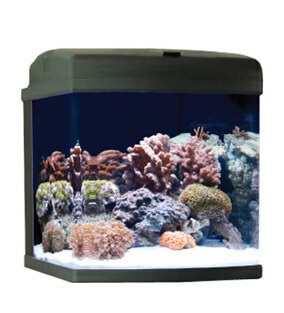 It comes as no surprise that the nano reef tank is extremely popular in the world of fishkeeping. After all, who wouldn’t want their own little customized ocean at home? 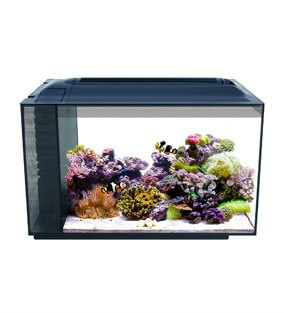 Nano tanks are generally much less expensive than standard reef aquariums – but can be just as interesting and fun. 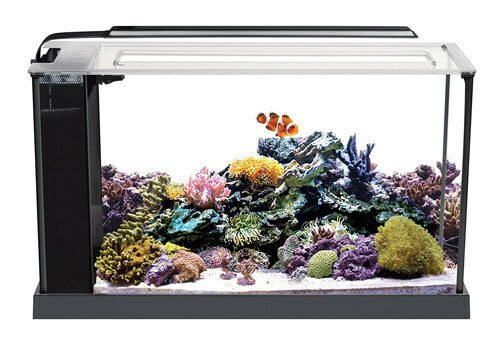 In this review, we reveal our top 5 best nano reef aquariums on the market. 3-stage filter media basket included. A nano reef tank is a miniature reef within an aquarium, which is home to aquatic inhabitants such as corals, fish and invertebrates. A “nano” tank refers to a tank which size doesn’t surpass 30 gallons. Even though it’s not as big as your usual aquarium, it encompasses a lot of aquatic factors. It’s an ideal choice if you don’t want to take up a lot of space, but still want to enjoy a marine view. Despite its small size, if you maintain it properly, your fish and corals can thrive in an ideal environment. 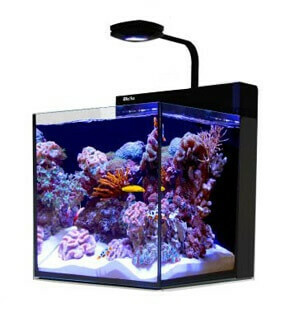 Lighting – helps promote plant and coral growth and they can’t survive without proper lighting. 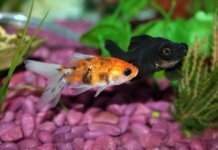 A filtration system – having a filter is inevitable for almost any tank. The water needs to pass through biological, mechanical and chemical filtration to be rid of harmful compounds which can harm your fish. A protein skimmer – this device collects food and waste products from the water. A water pump – this induces the flow of water within the tank. It’s a crucial component for corals, because they get their nutrients through moving water. A heater & thermometer – in order to control and keep track of your tank’s temperature. Royal Gramma – this stunning fish species has a royal connotation because of its beautiful purple and yellow scales. It lives in corals and rocks. Ocellaris Clownfish – if you’ve seen Finding Nemo, then this species of fish must ring a bell. It’s referred to as “clownfish” because of its stripy orange and white scales. Coral Beauty Angelfish – known for being very calm and unassertive, this species often takes shelter in corals. Its beautiful colors will make your tank look vibrant and captivating. Blue/Green Chromis – these fish are extremely small and always stay the same size regardless of how much they eat. They have either blue or green scales. Both types are from the same species. We recommend getting a school of these fish because they generally live in groups. Additionally, when together, multiple fish of this species will enhance the beauty of your tank with their beautiful colors. Firefish – this species of fish has scales with a white to orange color gradient, hence the relation to fire. They’re perfect for nano reef tanks because of their tiny size. This species is peaceful and tends to be quite timid. This beautiful tank will bring a little slice of the ocean into your home. It will provide you with everything necessary to house a small reef. 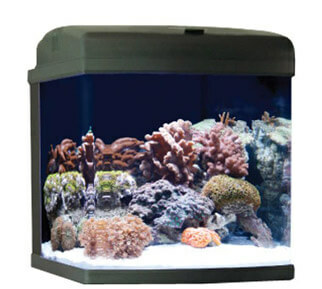 The 20-gallon tank comes with an LED lighting system that has 7 different colors to choose from. You control the lighting system through a built-in Wi-Fi, which you can access via any iOs or Android device! The tank’s glass is 8 mm and it’s reinforced, so safety is another essential factor you won’t have to worry about. The tank has a built-in filtration and circulation system which prevent waste from forming within the tank and on your reef. The included eco pump boasts an amazing water flow of 240 gallons per hour! All in all, the Nano Max Aquarium is an impressive, smart and functional addition to any home, work space or aquarium collection. Its beauty will not only modify your space, but it will also be the envy of your guests! 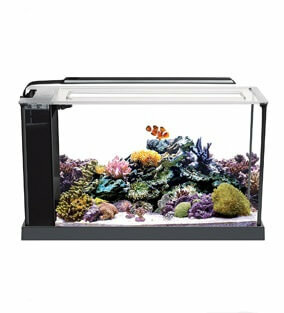 Suitable for 28 gallons of water, this nano reef tank kit has an impressive LED lighting system. It consists of T5 lights which will increase the PAR rating of your water. They’re completely safe, won’t make your tank overheat and as a result, won’t harm your tank’s inhabitants. This is because the heat is generated upwards and not inside of the water. Another handy feature is the feeding lid. It enables you to quickly and efficiently feed your fish. The included filtration system is impressive and comes with a 3-stage filter media basket, which enables comprehensive filtration. Not only is the nano cube’s design state of the art, but it’s also an economical product. We found that it consumes much less energy than similar products we tried out. For such an innovative device, you’d expect to feel intimidated. This wasn’t the case for us. We were very impressed by its elegant design, easy cleaning and environmentally friendly features. 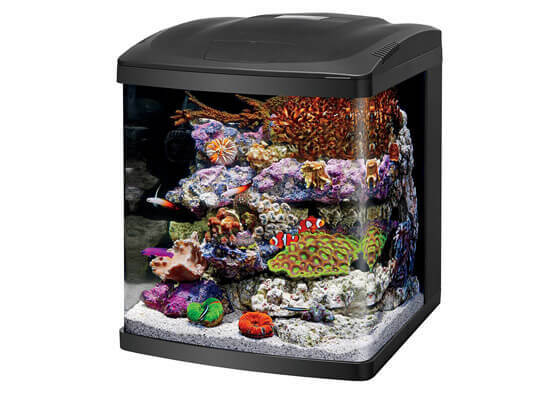 This Fluval nano reef tank may seem tiny – but don’t underestimate it. Although it only has a capacity of 5 gallons, it’s still a nurturing saltwater home to fish and coral. 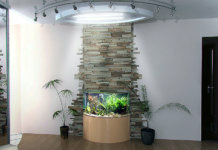 The tank is made of glass and its unique design hides the internal filtration system. The 3-stage system efficiently purifies the tank’s water. Another great piece of equipment you’ll find within the kit is 11000 K LED lights. They’ll provide your corals with a safe and healthy environment to thrive in, because they stimulate growth. If you’re looking for something of quality but compact, this Fluval nano reef tank is a solid choice. It can serve as a lovely centerpiece for even the dullest of spaces. It’ll also make a perfect housewarming gift or vibrant piece of office decor. 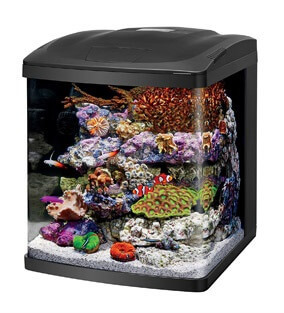 This all-in-one nano reef tank kit comes in two sizes: 16 and 32 gallons. 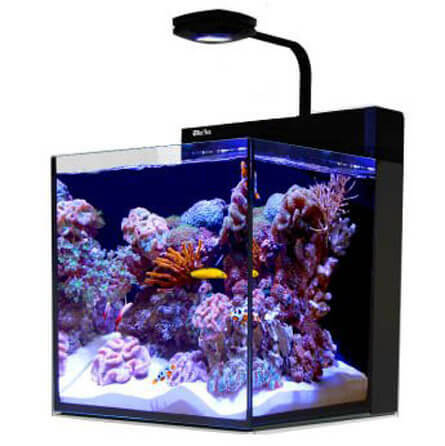 Our personal favorite is the 16-gallon BioCube, although both come with lots of fun features. It’s suitable for both freshwater and saltwater. The hood provides you with blue and white LED lights, as well as color-enhancing LED lights. These promote coral and plant growth. They can even simulate a 24-hour sun and moon cycle, with the white lights in charge of daytime mode, while the blue lights enable nighttime mode. Another cool feature is that this tank comes with a built-in filtration system that is located in the back. You’ll also find a submersible pump in the kit. We strongly recommend this BioCube aquarium starter kit if you’re a beginner. It’s fairly inexpensive, easy to maintain and a great introduction to the world of fishkeeping! In comparison to our #3 pick, this tank has a similar design. A major difference is that this version holds up to 13.5 gallons of water, offering more than twice the space. The filtration system is subtly concealed within the interior of the tank, which is a huge plus. The tank’s hood has a little sliding door which enables you to feed your fish swiftly and easily. 14000 K LED lights – which come with two lighting options: daytime and nighttime. These enable your tank to duplicate natural environment changes. A circulation pump with an output nozzle.